I am a jet pilot in my own mind and my Co-Pilot is hot! 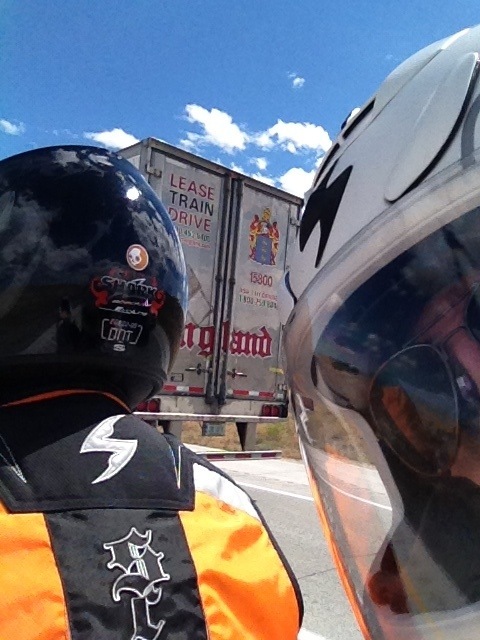 I decided to start this blog to keep track of mine and the misses adventures on the FJR. Since purchasing my motorcycle in 2009 I have rolled over about 30 thousand miles. Thats a lot of seat time that surprisingly I don’t want to forget. I will try to chronicle my rides after I return and if possible during them. I am not the best writer so sometimes I will let the photos do the talking. I have a passion for riding and riding far, solo or with my favorite pillion. Its the adventure I look for and the feeling of being that modern day cowboy riding the range on his trusty steed of metal and motor. I would love for you to join us as we go in search for that perfect ride, B&B, brewery, etc. Heck who cares what were looking for as long as we are riding!! So I have neglected my blog site for long enough. Its time to start writing on some of my 2015/2016 rides. A quick summary. I purchased a 2013 Yamaha Super Tenere in the spring of 2015. I was lucky enough to pick up a very lightly used 2013 Super T from a coworker the spring of 2015. It only had 70+ miles on it. 20 of those miles I put on it on a test ride. Yah!!! It also meant I sold a lot of things ( AKA guns) to outfit it for the summer 2015/2016 riding season. I will try to throw in some reviews of my purchases from Wolfman Luggage, Altrider, Happy Trails and Shinko. So far all great products. The purchase of a XL Adventure bike has had me reevaluate my riding style from long stretches of riding on two lane pavement to high elevation forest service roads and single track that I probably should never be on. I have had to learn to lean this way instead of that way, suspension tricks and how to exit when the bike starts to tip. Not going to lie I have been off this Motorcycle more than a kid trying to learn how to ride a bicycle for the first time. Stand by for more ride reports!